How do you do your job? Come to think of it, how do you live your life? Apologies for the huge, quasi-metaphysical introduction to what will doubtless be a terribly banal bit of football frippery, but I was inspired by a comment left on the last Chelsea article. Sadly, I’m locked out of the comments section at the moment so none of them are published. You’ll have to take my word for it. If you missed the last piece, it had to do with that enigma wrapped in a mystery wrapped in a short-arsed deep-lying forward: Joe Cole. Hugely popular with Chelsea fans… well, popular with everyone, if we’re honest. He’s one of the very few Chelsea players that it’s acceptable for non-Chelsea fans to like. “Joe Cole is a player that needs to be kept on his toes all the time to get the best out of him”. Now, this piece appeared on the Times web site, so I’m assuming that most of the readers will have gone beyond the stage at which they think, with the right breaks and a decent spell of fitness, they could do a decent job in midfield for, say, Brentford or Leyton Orient. We’re all adults. We’re well aware of the freakish levels of fitness and athleticism required at the top level (Mark Viduka and John Hartson notwithstanding). But if you’re a football fan you must have yearned, nay, burned to play. Give me a fulcrum and a number 8 shirt and I’ll move the world. Why on earth would I need to be motivated, cajoled, hassled and harried to play football AND be paid thousands of pounds a day to do so? This is a question shouted on many, many occasions at top-flight matches up and down the country, although I’m willing to admit that the precise phrasing can vary. Sometimes the player’s style does him no favours. Ballack certainly had that problem at Chelsea, and I believe Berbatov is suffering a similar reaction at Old Trafford. Languid, graceful players can conceivably be seen as lazy simply because they don’t tear around the pitch like Wayne Rooney chasing a Spandex-clad Thora Hird. It’s probably why the Chelsea fans never really turned on Shevchenko. Awful, awful mess of a one-time genius though the man was, he tried and he tried. 10 out of 10 for effort, and a hundred-odd grand a week. For that money, I’d have undergone extensive facial reconstructive surgery and gone on the pitch in his place. I wouldn’t have been any worse, he could have worked on his handicap, and there’s always the outside chance I could have fiddled a cheeky knee-trembler with that model wife of his (“Andriy, I’m so impressed with your English all of a sudden… oh, and a new tattoo… darling how nice etc”). Back to the comment on the blog. Because it doesn’t end with Joe Cole. Brian mentions three Chelsea players that, in his opinion, don’t require a regular kick up the passage. Just three, sadly, and you can probably guess two of them. To add to Captain JT26 and Super Frank Lampard, Brian gives us Petr Cech. Whilst I agree that the lanky fella is a great professional and seems an admirably nice young man whenever I see him interviewed, there aren’t many occasions when you’d be able to barrack a goalie for not trying. You can’t exactly shout abuse at him for not jogging up and down on the spot enough when the ball’s in the other half, can you? So. Three men, out of a squad of, what, 23 or so? Three people who get up every morning and want to do nothing other than play football. Maybe it is just another job after all. Maybe my romantic notions are nonsense, and when Deco gets out of his Aston Martin 177 and brushes the lint off his baby sealskin slacks, all he can think is “Christ, not another 5-hour day kicking an inflated plasto-leather sphere up and down a grass field”. Perhaps Salomon Kalou, in between slices of swan pate, suddenly throws down his platinum cutlery, irritably shrugs the model out of his lap, slumps onto the Philippe Starck-designed dinner table and starts weeping uncontrollably, overcome by the sheer pointlessness of it all. Personally, I think Brian’s being a little harsh. I think Chelsea are blessed with some superlatively strong characters, and they’ve got us through some tough times. In the last couple of years, the club has struggled for direction and purpose without the brilliant, infuriating, mercurial man that used to manage it. Much as we owe the owner for his munificence and enthusiasm, he gives the fan nothing to latch onto. After 5 and a half years, we still don’t really know who he is. 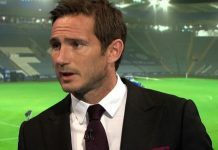 When Chelsea have come under the pressure engendered by the success of 2004 through to 2006, players like Ricardo Carvalho, Michael Essien, the great Claude Makelele, Paulo Ferreira and, more recently, Ashley Cole and Jose Bosingwa have been there to set examples too. I’m not denigrating the captain’s or vice-captain’s roles. Things would be that much harder without them. I think the spine of the team is larger – and stronger – than Brian and those that agree with him would have us believe. But there is absolutely no doubt that the current squad has, within, an element with a questionable work ethic. Every company, every business – every organisation where the whole is dependent on the efforts of a disparate group of individuals – has these problems. The nature of people is that some need to be micro-managed. Some can get up every day and find it within themselves to get on with it; and to the best of their ability, without the coaching equivalent of Full Metal Jacket’s Gunnery Sergeant Hartman screaming into their lughole. Over the next 5 months, we’ll really find out who’s who. And with the League running as tightly at the top as it is, the prizes for being able to motivate yourself are as high as it’s going to get, gentlemen. Previous articleIF JOE COLE ISN’T THE ANSWER WHO IS?